The original Titanfall game, which came out back in 2014, was a pretty good title which was fun to play in short bursts as it featured fast and exciting multiplayer action. But ultimately this was a game that lacked depth, and the fact that Respawn Entertainment’s game did not have a single player campaign did not help the game’s cause either. So it’s great to know that Titanfall 2 will include a single player campaign, and that unlike the first game, this sequel to the 2014 game will also be available on the PS4 (the original Titanfall only saw a Xbox One and PC release). And early reviews such as GamesRadar’s suggest that Titanfall 2 is indeed a worthy sequel to the original game, and one that also delivers a worthy single player campaign to complement its multiplayer action. And those looking to play Titanfall 2 will also be pleased to know that developer Respawn has revealed the system requirements for the game, letting PC gamers know whether their rig will cut the mustard when it comes to running this Titanfall sequel. 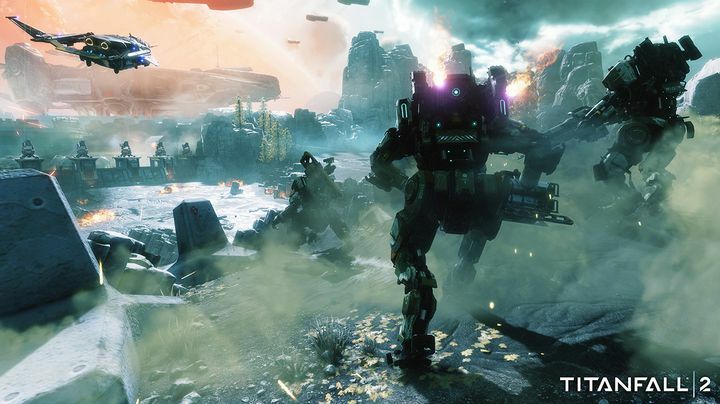 In a blog post, the game’s producer Drew McCoy lists the system requirements for the game, and looking at the minimum system requirements it is clear that gamers will be able to play Titanfall on a PC that won’t break the bank. Actually, an Intel Core i3 or equivalent processor will suffice, while a Geforce GTX 660 or Radeon HD 7850 is the minimum graphics card. Although those running PCs with less than 8 GB of memory should likely be looking to upgrade, as the game requires at least this amount of memory for a decent gameplay experience. Those looking for a better experience with Titanfall will want a machine that can meet the game’s recommended requirements. And in order to meet these requirements, players will need an Intel Core i5-6600 or equivalent processor and a powerful GTX 1060 card with 6 GB of memory, or an AMD Radeon RX 480 with a whopping 8 GB of memory. Also, the PC must be fitted with at least 16 GB of system memory, making Titanfall 2 one of the most demanding games memory-wise to date. But having the recommended specs means players will be able to run the game in high-definition (1080p) with most details maxed out, which will surely please those fond of video game eye candy. It is even possible to run Titanfall 2 at 4K resolution, but for this players will need a seriously powerful rig. In order to enjoy 4K visuals in Titanfall 2, Respawn recommends a PC with an Intel Core i7 processor, and a cutting edge Nvidia GTX 1080 card with 8 GB of memory, which will likely not be the sort of system the average user can afford. But still, at least Titanfall 2 will be playable on a wide variety of PC configurations, meaning most players will be able to enjoy the game in some capacity, and hopefully have plenty of fun doing it when Titanfall 2 is released this fall. Note: Titanfall 2 will be released on October 28, 2016. Available on PS4, Xbox One and PC.